On Friday, July 15, Agave in Avon will host a 21-and-older show with the Pimps of Joytime. 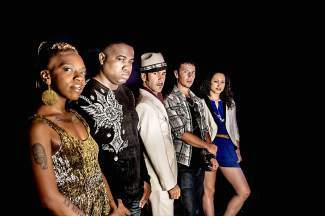 In 2005, bandleader Brian J. began to assemble a group of soulful vocalists and musicians to assist in bringing to life the musical concept that would become the Pimps of Joytime. The bandâs diverse sound and spirited attitude are strongly influenced by the Brooklyn DJ culture and live music scene from which they emerge. Recent collaborations with legendary artists Cyril and Art Neville, of the Neville Brothers, and Roy Ayers have helped vitalize the bandâs connection to its roots. Doors open at 9:30 p.m., and tickets are $15 and available in person at Agave or online at agaveavon.com.